Blindness trails a long history in imagination. 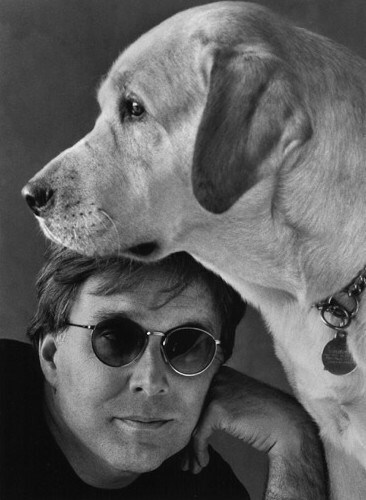 Award-winning writer Stephen Kuusisto, author of the New York Times “Notable Book”Planet of the Blind (1998) discusses blind history and its place in art. Stephen Kuusisto teaches in the Center on Human Policy, Law, and Disability Studies at Syracuse University. He is the author of numerous works, including Only Bread, Only Light: Poems (2000) and Eavesdropping: A Memoir of Blindness and Listening (2006). Teresa Jaynes, artist-in-residence at the Library Company, explores the artistic process of Common Touch. Attendees also enjoyed an overview of the Library Company’s Michael Zinman Collection of Printing for the Blind and learned how it inspired Jaynes to embark on a multi-year journey of research, exploration, and creation. Jaynes shared her perspective on this unique art installation where the world of 19th-century historical collections intersects with a new world of tactile expression. In “You Are My Sunshine” performer Terry Galloway offers her humorous perspective on life after receiving a cochlear implant and being thrust into a world of sound. “You Are My Sunshine” is a comic, sometimes moving, sometimes profane exploration of what happens to a woman after she literally regains her senses. 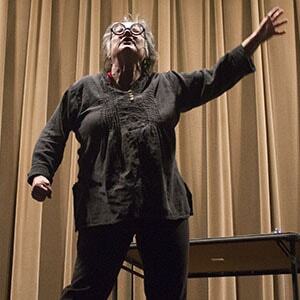 Galloway is a writer, director, and performer for stage, radio, video, and film. Her memoir Mean Little Deaf Queer (2010) was a Lambda Award finalist and winner of the Golden Crown award for non-fiction. A conversation about the intersection of art, disability, and access with Terry Galloway and Haverford Professor Kristin Lindgren, Ph.D. will directly follow the performance. Lindgren was a key organizer of Haverford College’s 2012 exhibition “What Can a Body Do?” which explored disability through the visual arts, poetry, and scholarship. Guided by Kenneth Burke’s definition of rhetoric as the process of negotiating with our individual and collective identities, this talk examines the 1876 Philadelphia Centennial as a rhetorical experience—an effort to turn private individuals into public citizens in a shared community. Drawing from accounts of the Centennial Exhibition in the popular press, diaries and scrapbooks compiled by visitors, and fictional dramatizations from the period, alongside printed and photographed scenes of the fairgrounds, Zino will discuss where the Centennial succeeded in its effort to stage a common experience of American life and, perhaps more interestingly, where it failed. 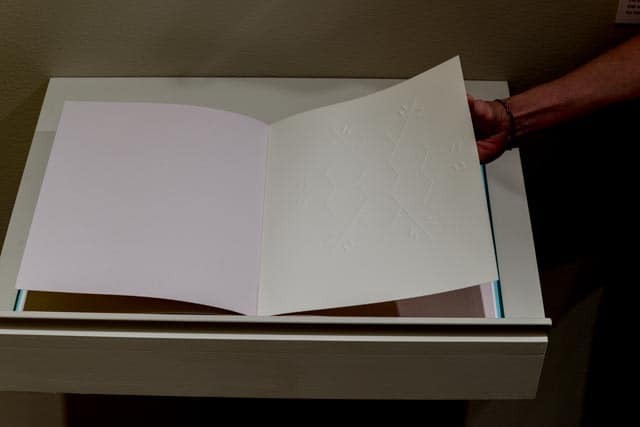 Created by Philadelphia artist Teresa Jaynes, The Moon Reader is inspired by 19th-century primers for the blind in the Michael Zinman Collection of Printing for the Blind at The Library Company of Philadelphia. 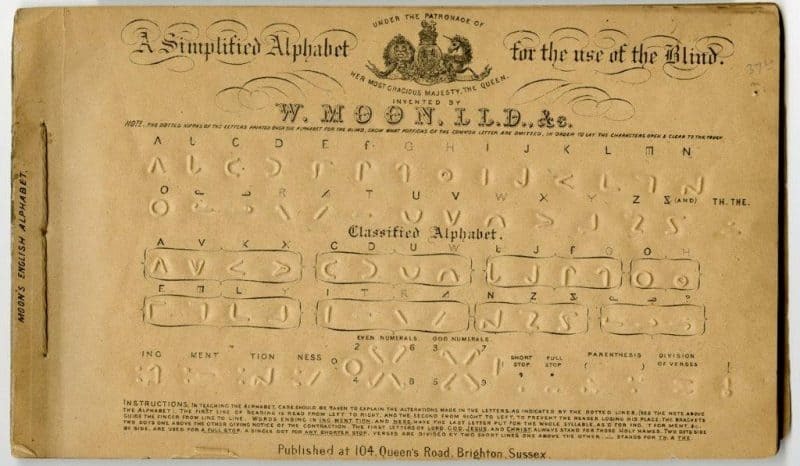 The multimedia installation, comprised of a set of books (in Braille and Moon) and an audio file, invites participants to learn to read Moon, a “lost” embossed writing system for the blind resembling hieroglyphics invented by blind educator William Moon in 1847. It will serve as a literal and figurative meeting place where the tactile experience is primary and accessible to almost everyone. The activity – deciphering, translating and finally reading – will be a serene act of discovery. The Moon Reader seeksto challenge participants’ ideas about visual culture, in ways that elicit curiosity, humor, and empathy and to expand their understandings of historical and contemporary connotations of sight. The Visual Culture Program at the Library Company of Philadelphia has joined forces with The Ephemera Society of America to present this conference, which seeks to further acknowledge and promote printed and graphic ephemera not only as sources of striking illustrative images, but also as primary evidence in the reconstruction of popular movements and visual cultures. 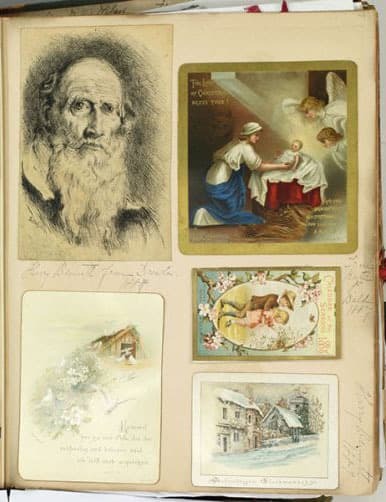 Remnants of Everyday Life: Historical Ephemera in the Workplace, Street, and Home highlights the Library Company’s vast collection of ephemera from the 18th to the early 20th century. With materials ranging from throw-away items to finely printed works, Remnants of Everyday Life considers the cultural impact of advancements in mass production technologies. The exhibition will address the evolution of the graphic design of ephemera; ephemera associated with women’s role in the home, such as scrapbooks; the changing nature of leisure activities and consumerism over the course of the 19th century; and the life-cycle of commercial ephemera between the workplace, street, and home. Old and young, rich and poor, our forbearers participated in a vibrant popular culture whose medium was printed ephemera. 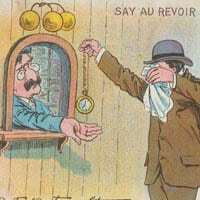 Remnants will exhibit broadsides, playbills, fliers, postcards, trade cards, tickets, menus, World’s Fair souvenirs, labels, stereographs, albums, scrapbooks, paper dolls and other ephemeral toys and games, and advertisements. Specific examples include the 1897 billhead for Mrs. Henrietta S. Duterte, an African American undertaker and possibly the first female embalmer in the country; examples of Victorian-era paper bags, including the-then novel “Square Bag” patented in 1872; the seminal 1870 printing manual Typographia, which broke new ground for commercial graphic design; and one of the first illustrated circus posters issued in 1828. 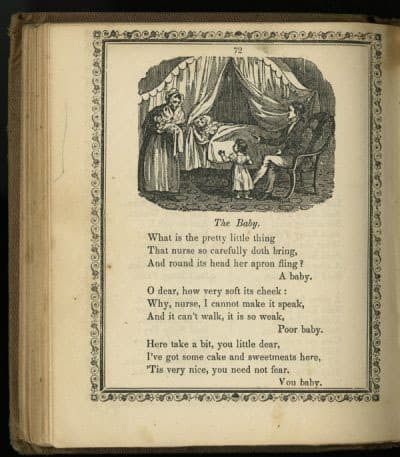 The Library Company has been collecting ephemera since 1785, when it acquired the Pierre Eugène Du Simitière collection of Revolutionary War-era pamphlets and broadsides. 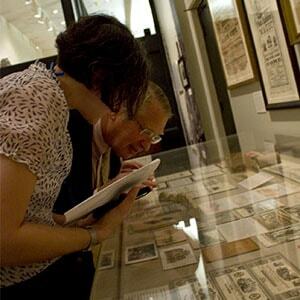 Today it has one of the largest, most important, and most varied collections of early American ephemera in existence. 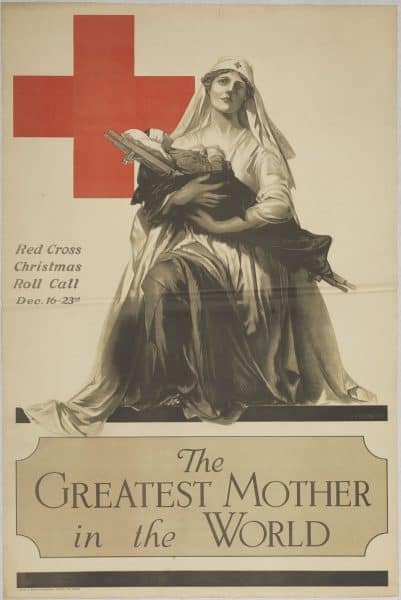 In 2012, the Library Company completed a two-year project funded by the National Endowment of the Humanities to arrange, catalog, and selectively digitize nearly 30,000 pieces of 18th- and 19th-centry ephemera. An outgrowth of this project, Remnants of Everyday Life, curated by Visual Culture Program co-Directors Rachel D’Agostino and Erika Piola, is on view from Monday, May 13, through Friday, December 13, 2013. In a public talk scheduled in conjunction with the exhibition opening, Dr. Ellen Gruber Garvey will discuss the history of scrapbooking. The exhibition and its accompanying programming are supported by funds from the Pennsylvania Council on the Arts and the Philadelphia Cultural Fund. This lecture by Michael Froio looks at W. H. Rau’s 1890s photographs of the Pennsylvania Railroad and explores their importance to his project to photographically document the former PRR Main Line. Froio also investigates the importance of dialog between historic and contemporary photographs. 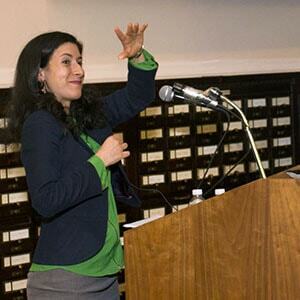 This talk by 2012 – 2013 William H. Helfand Visual Culture Fellow Allison Lange discussed how images became powerful political tools for suffragists and their opponents, and the ways in which reformers used pictures to transform conceptions of gender and reimagine womanhood during the nineteenth century. 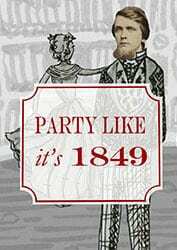 Singing, feasting, and a lithography demonstration in the spirit of P. S. Duval’s 1849 Philadelphia fête which celebrated his introduction of steam lithographic printing to the city. The evening included an a capella performance by The Humtones of Haverford College; a lithography demonstration by Ron Wyffels, Master Printer at the Pennsylvania Academy of the Fine Arts; and book signings by the authors of the essays in the volume. Visual Culture Program Fellow Catherine Walsh discussed the ways in which children learned to construct visual narratives by thinking about a variety of sources, including textbooks, primers and readers, illustrated magazines, toys, and games. The goal is to begin to understand how visual education informed one’s experience of genre paintings and illustrations, both as a child and later in life. 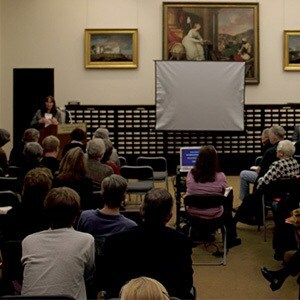 Carol Soltis, Library Company Trustee and Curator at the Philadelphia Museum of Art’s Center for American Art, discussed the work of the artist James Peale, focusing on our recently-acquired portraits of Zachariah and Susannah Knorr Poulson. Co-sponsored by the Center for American Art. 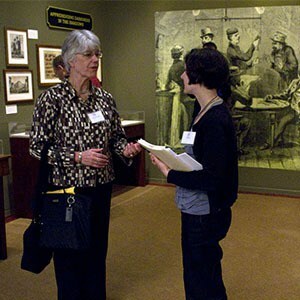 Anne Verplanck is an independent scholar and curator based in Chadds Ford, Pennsylvania, working with museums and individuals on their collections. She was formerly the Curator of Prints and Paintings at Winterthur Museum, and has worked in the museum field since 1980. She has taught graduate courses, lectured widely on the topic of portraiture, and has curated exhibitions on the subject. A graduate of Connecticut College, Dr. Verplanck earned her M.A. and Ph.D. degrees at the College of William and Mary. Throughout its history, Philadelphia has had a rich artistic tradition and active art markets. 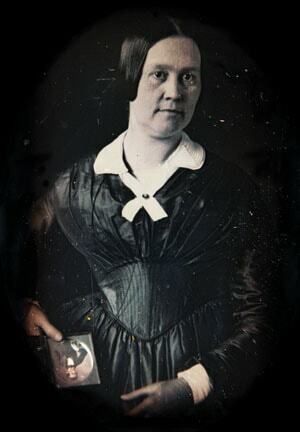 Between 1760 and 1860, discrete segments of the city’s population commissioned specific types of small-scale portraits ― silhouettes, miniatures, and daguerreotypes (early photographic images). 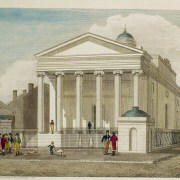 Some went to specific artists, such as Charles Willson Peale and John Henry Brown. 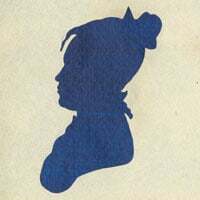 Quakers gravitated towards silhouettes and, later, daguerreotypes. Philadelphians then used these portraits in particular ways, adapting widely available forms to their specific needs. Through their commission and use of portraits, Philadelphians simultaneously crafted their identities and shaped art markets. 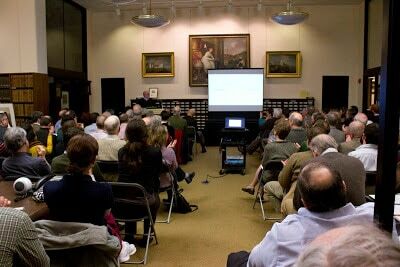 Silhouettes, daguerreotypes, and ambrotypes from the American Philosophical Society and the Library Company will be highlighted in this talk. Keith F. Davis, Curator of Photography at the Nelson-Atkins Museum of Art, in Kansas City, and author of numerous books including The Origins of American Photography: From Daguerreotype to Dry-Plate, 1839-1885, spoke about the remarkable achievement of the world’s first successful photographic process – the daguerreotype – and Philadelphia’s vital role in the history of early photography in America. This event is presented by the Visual Culture Program at the Library Company (VCP@LCP). The Women of the Republican Court Revisited. An evening event in the spirit of Martha Washington! As part of the Library Company’s Visual Culture Program, Curator of Women’s History Cornelia King brought to life the women depicted in Daniel Huntington’s painting The Republican Court; or, Lady Washington’s Reception Day (1861). 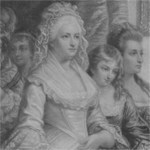 The group portrait includes Martha Washington, Dolley Madison, Anne Willing Bingham, Harriet Chew Carroll, and many others who had public roles in the 1790s, when Philadelphia was the nation’s capital. The image captures a nostalgic understanding of the early years of the country, and continues to stimulate interest in women’s public roles in early American history. 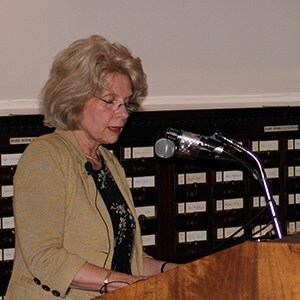 This Women’s History Month event also celebrated the publication of Re-framing Representations of Women, edited by Susan Shifrin, whose “Picturing Women” exhibition inspired us to study the portraiture of these remarkable women. Co-sponsored by Bryn Mawr College. Listen to the Podcast of this event. Christopher Hunter, the Library Company’s 2008 William H. Helfand Fellow in Visual Culture and a PhD. 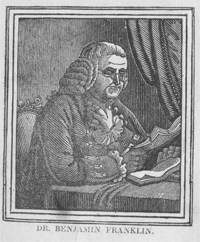 Candidate in Comparative Literature at the University of Pennsylvania, is studying the Library Company’s collection of Ben Franklin images within the context of his Autobiography. Though these images are not always considered part of the text, they are both fascinating in their own right and crucial for a full understanding of the development of Franklin’s life story. The Library Company’s Visual Culture Program got off to a rousing start with our April 3rd program, “Talking Prints: A Conversation with Donald Cresswell and Christopher Lane.” Seventy-five people spent the evening at the Library Company enjoying food and drink and the company of others who share an interest in historical prints. 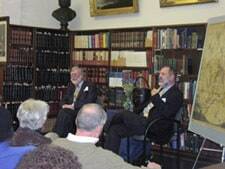 Don and Chris, owners of the Philadelphia Print Shop in the Chestnut Hill section of the city, provided lively commentary about their quarter-century in the print business and their experiences as experts on the Antiques Roadshow program on PBS, and each spoke eloquently about his favorite historical American print. Don described the significance of “The First Reading of the Emancipation Proclamation before the Cabinet,” a large engraving executed in 1864, while Chris captured the audience’s attention with his discussion of John Hill’s 1808 “Plan of the City of Philadelphia and Environs.” Questions and comments from audience members enlivened the conversation. The success of the Visual Culture Program’s inaugural event has set a high standard for our future programs to meet.